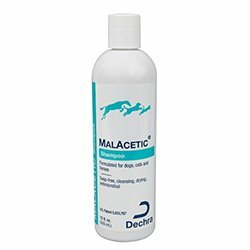 MalAcetic shampoo aids in treating mild fungal and bacterial infections in dogs and cats. It is made up of natural ingredients, hence, it is extremely safe for dogs and cats. It is ideal in treating seborrhea or other conditions in pets where a medicated shampoo may be beneficial. It is completely soap less shampoo that contains moisturizers. MalAcetic shampoo has two active ingredients: Acetic acid and boric acid. Both of these active ingredients are completely natural and good for pets. These ingredients assist in treating fungal and bacterial infections in dogs and cats. I highly recommend this shampoo for pets with skin conditions. It cleared up my cat’s flaky, itchy skin after a couple of washes when nothing else seemed to work. Very pleased! I highly recommend this product. My kitty has a very dry skin and was scratching day and night without having any fleas. After using Malacetic shampoo it got much better, it smells nice and the coat feels soft after the bath. I can hardly see any flaky skin. 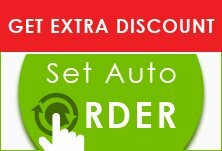 Very good product! Recommended!